Your gift to the Evergreen Annual Fund provides a stable and flexible stream of support for scholarships, academic programs, student projects and faculty research. Your annual contributions enhance the quality of the Evergreen experience, and open the door for many students who otherwise can't afford a college education. Every time you give to scholarships through the Annual Fund, you expand access to Evergreen’s distinctive education. The accessibility of this education carries enormous benefits for students, their communities and the world. Make a gift right now – support Annual Fund Scholarships. Every year your gifts fuel Evergreen’s academic vitality by creating faculty grants for research and new initiatives. Students are natural partners in this work and they directly benefit from a well-supported and highly engaged faculty. The Annual Fund provides $50,000 a year for in-depth study and continuous professional development by supporting independent faculty research grants. The average grant is just over $4,100. Your donations invigorate learning by creating grants for students doing innovative research and projects through the Summer Undergraduate Research Fellowship. Direct your gift to the Tacoma Annual Fund to provide scholarships, mentoring, speakers and programs for students in at Evergreen—Tacoma. Give to the Evergreen—Tacoma Annual Fund now. The Annual Fund gives flexibility to direct resources to where funds are needed the most, including: campus initiatives in arts and culture, guest speakers, and services for students and alumni. Evergreen relies more than ever on private donations, especially to the Annual Fund, to meet critical campus needs. A successful Annual Fund is a sign of a growing and healthy Evergreen. It can’t happen without you. The Annual Fund sponsors in-depth examination and inquiry by supporting student research grants. Donations have assisted in student-directed study of the following topics: Examination of the effects of oxygen deprivation in heart attacks; a study of how cultural differences affect humanitarian projects in Haiti; and “Telling our Stories: What makes communities work—A Grays Harbor Anthology,” among others. Your donations to the Annual Fund support Evergreen’s students by allowing them to complete their educations and foster critical inquiries in our community and our evolving world. Evergreen is regarded as one of America’s best learning communities and a national model for student engagement, quality teaching, applied learning and educational innovation. Evergreen’s faculty members work closely with students due to a 23:1 student-to-faculty ratio. Donations have assisted in faculty research of topics like these: Integrating Music, Robotics & Cybernetics; Mercury Assessment in the Pacific Northwest Forest; Puget Sound Prairies; Stream and Intertidal Ecosystems, Ecological Consciousness and Climate Justice in Nepal, and Sustainable Entrepreneurship, among many others. Make a gift to the Evergreen Annual Fund today. Geology faculty Abir Biswas works with research assistant Mariah Smith testing soil samples to study the effects of burning on mercury cycling. Abir Biswas, an Evergreen Faculty Member, was awarded a Faculty Foundation Grant. 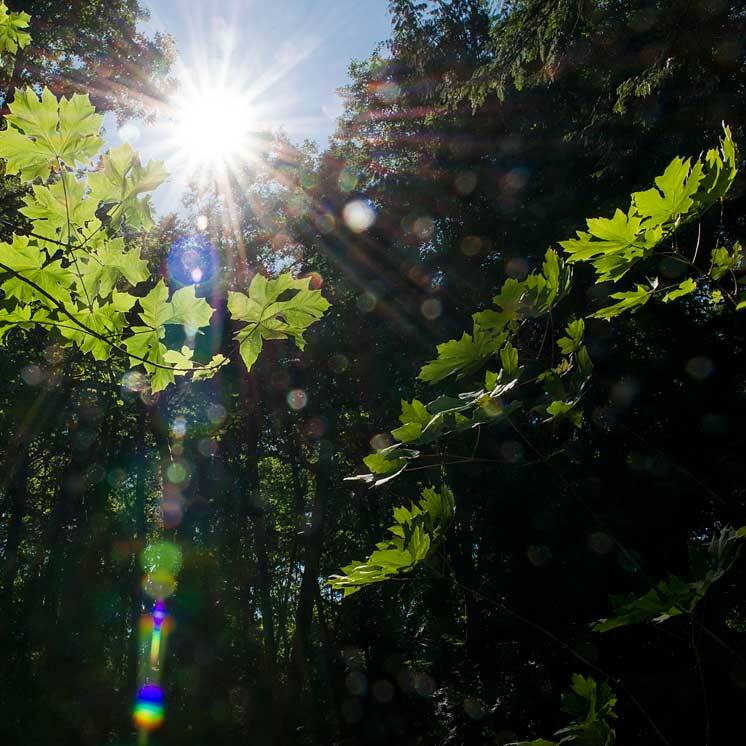 This grant allowed Abir to study the effects and causes of mercury storage and cycling in second-growth temperate rainforests and the role of vegetation in mercury accumulation at Mt. St. Helens National Volcanic Monument following the 1980 eruption.